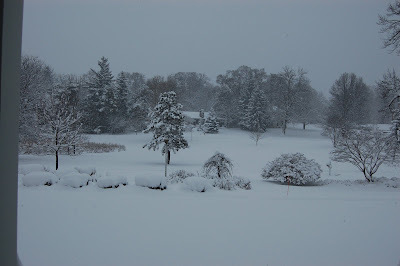 This is what it looks like outside my front door today-school is closed and at 8:30am they are all outside playing already. It’s beautiful out there. 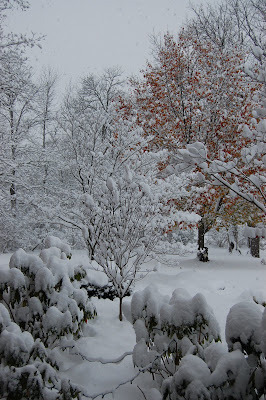 One more for those of you who don’t have snow. I am working on # 6 yet. Just seem to have too much Christmas stuff to do to get any sewing done. I’ll show you my first commission that I finished last spring. The new owners are very pleased with it and since it was hand quilted I was more than relieved that I was done with it. Looking at it now, I would not have put any borders on it but let the center composition stand alone with a flat binding. What a difference a few months makes ! These are the colors they wanted and fabrics they chose. Much easier to have someone buy something already made! But rewarding to have pleased them. GIVEAWAY: See Sense of Community post below. Just leave a comment to be entered or drop me an email if you don’t feel comfortable with that. (colleenkole@gmail.com). Only three people have jumped on board and there are 3 prizes. Giveaway on Wed Dec 9th. Off to play today. Happy sewing, my friends. Have a good weekend. 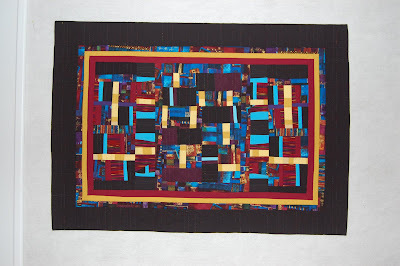 This entry was posted in Connections series, early quilts on December 4, 2009 by Colleen Kole. I need to give you a look back at an earlier work . This was made many years ago and now hangs in my sewing room. As I look at how nicely the hand quilting really gives the background texture, it is encouraging me with my machine quilting I am now working on. My two UFOs for the week might even be done —by Sunday which I guess is within my weekly goal for Project Joy. It’s a bit of a gamble to depend on much sewing time in the weekend. But they are both about 70% done! It seems odd now to see a border on one of my quilts as I haven’t been using them with all this abstract work. Must go -I am off to trace 27 kids feet for the jeans quilt I am soon to start. Have a good weekend. Happy sewing, my friends. 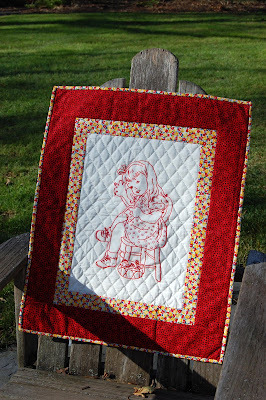 This entry was posted in early quilts on November 13, 2009 by Colleen Kole.